Choosing a wedding or event venue in Costa Rica can be as easy as reviewing the profiles on our site. Review pictures, landscape and flora among the profiles listed from the shores of the North Pacific, Central Valley and on to the South Pacific. Beautiful sunset beach venues in Playa Flamingo, cliffside resorts overlooking the Pacific Ocean in Uvita or Manuel Antonio, mountain retreats with majestic mountains and valleys in the Central Valley are just a few of the many choices. 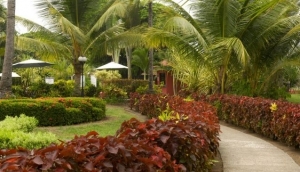 Take care of all the details yourself or involve the staff as you desire for your event in beautiful Costa Rica.